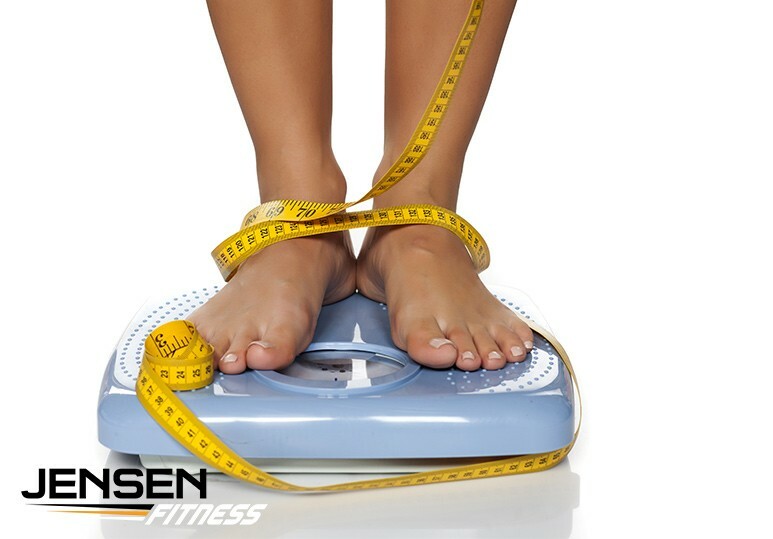 When you are trying to lose some weight, it’s easy to get overly concerned with the number you see when you step on the scale. While it can be a good thing to check in from time to time, obsessing over this number isn’t healthy, nor is it always an accurate reflection of your fitness level. At Jensen Fitness, we provide comprehensive personal training services to help you achieve all your weight loss goals in a realistic and healthy manner. When you work with our personal trainers, not only will you see that number on the scale decreasing, you will enjoy the incredible benefits of a stronger, fitter and more beautiful body. Obsessing over the number on the scale is something that everyone does from time to time, especially when you are working hard for weight loss. But, as most personal trainers would agree, the reality is that your health is what is important, not the number on the scale. Whether you are embarking on a diet for weight loss or starting personal training, when you make staying healthy your number one priority, you’ll be surprised by how little that number matters. If you have increased your number of personal training sessions and are committed to your diet for weight loss but are still not seeing the pounds drop, don’t worry! Muscle has a higher density and takes up less space than fat. This means that you could look a lot slimmer just by having a lower percentage of body fat but your actual weight might not change at all. Staring at the scale as it changes by one pound a week can be infuriating, especially if you have been working hard to lose weight. But while shedding pounds in a healthy, realistic way does require some patience, it gives you better results in the long run. Even if you are working with a personal trainer every day or following your diet for weight loss to a tee, you have to remember that not all bodies are the same. There is no single ideal weight that everyone must reach because we all tend to hold weight differently. So remember: you can’t change your basic structure - you can only work with what you’ve got. Read More: See Some of Our Incredible Transformations! Even if you are dedicated to following your diet for weight loss, it’s important to remember that nutrition is ultimately all about balance and indulging in that piece of chocolate cake once in a while isn’t the end of the world - it’s necessary. Your scale is meant to keep you on track with your weight loss goals, but for many, it can sometimes become a hindrance. While you don’t always want to be obsessing over your weight, it’s important to check in now and again to monitor your progress. So set a time increment by which you will weigh yourself. Typically once a week is sufficient. It’s important to remember that your weight can fluctuate 2-4 pounds from day to day. There are many things that can affect your weight including the amount of salt in your diet, when you had your last meal and where you are in your cycle. So if you step on the scale and you find that you are a little heavier than the day before, don’t panic! Too often, people have a number stuck in their head that they think they should weigh. However, based on a variety of things, it may not be healthy or realistic for their body type. Working with a personal trainer can help determine what your ideal weight should be and how to help you achieve that goal in a realistic and time-efficient manner. Considering personal training? Contact our Calgary fitness centre today. When it comes to measuring the progress from your personal training sessions and nutrition regime, it’s important to remember that weight is just one tool. Feeling more comfortable in your clothes or going down a size is even more important than the scale because they’re more accurate signs of weight loss versus the fluid shifts you see on the scale. Body measurements are a great way to see localized circumference changes. Of course, better-fitting clothes tell you you’ve lost inches but measurements can tell you how many. Ask your personal trainer to help you take measurements of: upper arm, abdomen, hips and thighs. Take a photo of yourself - ideally wearing the same outfit, standing the same way and in the same place - once a month for a few weeks. This will help you see the changes you might not notice when you are looking at yourself every day. To learn more about our personal training services or how we can help customize a diet plan for weight loss, contact our Calgary fitness centre today at 403-200-0199.